All Website design, images, information, and arrangement thereof as well as all software contained in this website are copyrighted and are exclusively marketed under exclusive legal right of Segnant. Reproducing (in whole or in part), transmitting (by electronic means or otherwise), modifying, linking into or using for any public or commercial purpose to or from this Website without prior written permission of Segnant is strictly prohibited. You are authorized to download or print out a hard copy of individual pages and/or sections of this Website, provided that you won’t violate any copyright or other proprietary notices. You may retrieve the contents of Segnant.com only for informational and non-commercial purposes. There can still be serious damages if you hurt the commercial value of the property. 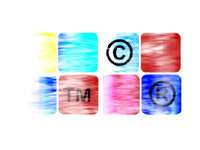 Making of this site is a highly creative process, so you must include the copyright notice in any copy that you make. Consistent with this notice you are welcome to make 'fair use' of anything you find on this web site. Segnant logo is the registered trademark of Segnant.com.